Video ad tech company, Unruly, and content marketing business, Emotive, have joined forces in the name of helping brands increase the shareability and impact of digital video ads in Australia. To kick off the partnership, Emotive used Unruly’s algorithmic tool, ShareRan, to predict the emotional impact of Optus’ recently launched Ricky Gervais ads ahead of launch, along with the social and behavioural triggers the content was designed to address. The algorithm is designed to predict how shareable an ad is before it is distributed, and has been trained by combining 2 trillion video views with more than 395,000 consumer data points. According to the two companies, the algorithm was also able to predict the levels of brand recall and purchase intent the ads were likely to generate. Among the findings was that the ad evoked ‘amusement’ as an emotional response in viewers, and that males were more responsive than females. ‘Opinion seeking’ was also a key social motivation to share the ads, likely driven by ‘hilarity’ or ‘surprise’. Emotive CEO and founder, Simon Joyce, said his company’s approach was aimed at mitigating risks around video content for clients. “We don’t want to leave the virality of our client’s content down to luck, which is why we partnered with Unruly to build on our own accountable social video content marketing model,” he added. Authenticated Digital, a business established by the co-founders of OpenX in 2014, has launched its first proprietary platform for digital advertising, aimed at digital media buyers and sellers. Authenticated Digital’s core technology aims to bring full transparency to display, mobile and online video advertising by verifying the authenticity of each impression and providing an audit trail. Customers to date include CafeMedia, OpenX and Axonix. 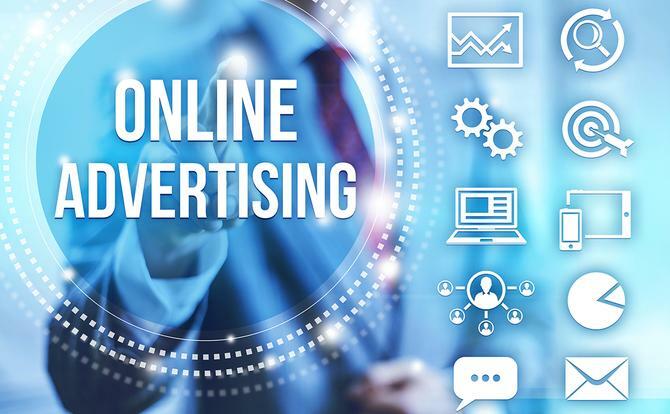 According to co-founders, Damon Reeve and Scott Switzer, the platform removes one of the biggest barriers to digital advertising growth, particularly around programmatic: Trusting digital advertising inventory. “With our service we can assure meaningful ad delivery and a better ROI,” the pair said. Authenticated Digital comes in two forms: Mapper, a post-bid analytics service which provides authenticated data streamed directly to data management systems; and Selector, a pre-bid authentication services designed to enable buyers to acquire impressions via authenticated metrics. The pair also said other product offerings are in development. The company is based in New York and has also opened a London office. WPP’s GroupM division is bolstering its programmatic advertising capabilities by acquiring The Exchange Lab and its proprietary technology, Proteus. WPP said the eight-year-old business will operate as an agnostic business layer within its Connect offering, and allow the group to extend its multi-platform programmatic approach. Connect is GroupM’s worldwide digital organisation and unites data, operations and technology across search, programmatic, social, mobile and all other real-time and biddable media. The Exchange Lab’s Proteus platform enables users to have a view across all programmatic channels and partners by unifying demand-side platforms (DSPs), marketing technologies and exchanges into one management layer. In a statement, WPP said integrating Proteus will allow clients to allocate marketing budgets across any and all programmatic partners including GroupM’s proprietary media properties. Social media management platform, Lithium, has expanded its analytics platform to provide brands with further insight into the health and well-being of their social communities. The first enhancement, Value Analytics, is aimed at helping brands measure the results of community experiences on customers and gauge the community’s overall impact on their business and builds on the vendor’s Community Health Index. This is achieved by integrating marketing and customer service and support data, including Net Promoter Score, customer satisfaction and call deflection, into the platform. Lithium Cohort Benchmarking, meanwhile, allows brands to benchmark their community performance against similar brands by geography, industry and maturity using 14 different metrics including unique visitors, replies and solutions. “For years businesses have been wrestling with knowing they need to have a strong social presence, but not having the right numbers to quantify the business impact of their social strategy,” said Lithium’s president and CEO, Rob Tarkoff. Zoho and RingCentral have partnered up to integrate RingCentral’s customer call management offering into Zoho CRM, a customer relationship management platform. In a statement, the companies claimed the integration offers users an unprecedented level of control and insight to customers seeking advanced cloud communications and CRM functionality. The integration sees single-click dialling, as well as screen pop-ups for incoming customer calls, become part of the CRM offering. Automatic call logging also lets sales and support teams manage call-related activities within Zoho CRM. Additionally, users gain access to contextual information during calls, a feature aimed at helping them build better relationships with customers. “By integrating Zoho with RingCentral’s cloud business communications solution we are addressing a key requirement that many of our 15+ million users are demanding: Better customer engagement and automation,” said Zoho’s VP of business development, Ian Wenig. Retail focused technology vendor, Benchmark Intelligence, has started leveraging IBM’s cognitive computing platform, Watson, to help retailers better measure and improve the performance of bricks-and-mortar locations through data insight. Benchmark’s product suite aims to help retail chains analyse why certain locations perform better than others by collecting customer data in a variety of ways including social media listening, mobile text messaging comments, surveys and field audits. Most of this data is qualitative and unstructured. Leveraging Watson, the company said it can now easily mine this data for patterns based on natural language understanding and sentiment analysis to surface insights on customer issues like quality of service or store cleanliness. It’s doing this by leveraging Watson’s sentiment analysis and keyword extraction APIs. Benchmark’s product suite powered by Watson is already available, and the company is working to implement the technology with a number of retail chains, first of which is California-based seafood retailer, Slapfish. “By tapping into IBM Watson, Benchmark Intelligence has been the best customer service tool for Slapfish because it enables us to assess a variety of insights from customers across one platform,” said Slapfish’s co-founder, Andrew Gruel. “Instead of having a manager comb through various review sites and customer feedback platforms, we can now easily and efficiently stay up to date on customer satisfaction." US-based MapAnything, a mapping, geo-analytics and location intelligence solutions provider for Salesforce platform users, has raised US$7.3 million in a series A funding round led by GreyCroft Partners. The funding will be used to expand sales and marketing efforts as well as accelerate product development. MapAnything was founded in 2009 and has 750 customers globally, from small business to enterprise. Its flagship product, MapAnything, provides mapping, schedule planning, route optimisation, real-time geo-location, territory management and geo-analytics and is available to Salesforce users via the Salesforce AppExchange. Collaboration and voice chat app company, Talko has sold to Microsoft, which will roll its technology and team members into Skype. In a post to the company’s blog, the Talko team said that success in the messaging app space for consumers is binary: Some companies are able to launch a wildly popular product that takes off with wide adoption, while others drift into obscurity. Talko was on the latter path, so the company opted to get out of the business and work with Microsoft. Talko's technology will be put to use improving Microsoft's Skype and Skype for Business communication products, but the service itself will shut down by March 2016. Before then, users will be able to download the contents of their past conversations, including voice, text and photos, as “simple files”, the company said. This is the second time Microsoft has acquired a startup helmed by Ray Ozzie, whose last company, Groove Networks, was purchased by the software giant in 2005. Like Talko, it specialised in productivity tools that were then integrated into SharePoint and OneDrive. Talko joins a laundry list of other purchases by Microsoft over the past year, including the acquisitions of companies behind Wunderlist and Sunrise Calendar. The second of Microsoft’s acquisitions this week is enterprise analytics provider, Metanautix, a company that makes it possible for businesses to pull together all their data and gain insights into it. Metanautix's product can pull information in from a variety of private and public cloud data sources including traditional data warehouses, NoSQL databases like Cassandra and business systems like Salesforce. Once it’s aggregated, businesses can use SQL to query the resulting data pipeline in order to glean insights from the information. Again, terms of the deal weren’t disclosed, and Microsoft isn’t saying much about its plans for Metanautix's technology. However, corporate VP, Joseph Sirosh, revealed the company plans to roll it into products like SQL Server and Cortana Analytics Suite. Ad tech player, Rubicon Project, has put the next generation of its header bidding technology, FastLane, into beta testing for inapp advertising. The new functionality has already undergone a beta trial on desktop platforms, where it generated triple-digital CPM rate increases, the company claimed. The next phase sees it being used for inapp advertising for mobile inventory as well. Rubicon Project first launched header tags with its Real Time Pricing feature in 2012 and announced FastLane in October this year. The publicly traded company was established in 2007 and claims to be best known for pioneering advertising automation technology. According to Rubicon Project, more than a third of the US comScore top 50 publishers are integrating the Fastlane header tag, and the company expects most of its top desktop and mobile publishers to be live by early 2016. Header bidding enables publishers to unify the auction for each impression they show rather than take the current ‘waterfall’ approach to ad serving. The latter breaks the auction down into multiple mini-auctions, potentially capping the value publishers can achieve on premium types of inventory. “Premium publishers and the top mobile app developers have struggled to achieve the robust pricing that desktop inventory commands, even in the highly curated inventory packages they offer in mobile private marketplaces,” said head of mobile for Rubicon Project, Joe Prusz. - With additional reporting by Blair Hanley Frank, IDG News Service.